A simple question on the projected wave function? At the seminar where the talk was about quasicrystals, I mentioned that some results on their properties remind the fractals. The person who gave the talk was not too fluent in a rigor mathematics behind those properties, and I was not able to find any clues to this area myself. There are some papers where fractals are mentioned in application to quasicrystals, but I did not find any introductory level paper with careful mathematics. Probably there is such an introduction somewhere? @Squark That's exactly what I am looking for. Not the statement itself, but some place where this fact is shown. Mandelbrot's definition: "Fractals are irregular shapes, in either mathematics or the real world, wherein each small part is very much like a reduced-size image of the whole." Does the Fourier transform of an (aperiodic) Penrose tiling show diffraction peaks similar to structures with period long-range order? Starting with a single 'seed' tile and adding more tiles by strictly local matching rules, can we grow an arbitrarily large perfect Penrose tiling? The Penrose tiling has the advantages of being simple and well posed, and moreover the preceding questions generalize naturally to real-world questions like: "By what physical process do atoms find their place in growing real-world quasi-crystals? Do local (classical) matching rules suffice to explain quasi-crystal growth at the atomic level, or are nonlocal (quantum) rules required?' Can real-world quasi-crystals grown by local classical matching rules ever be defect-free? 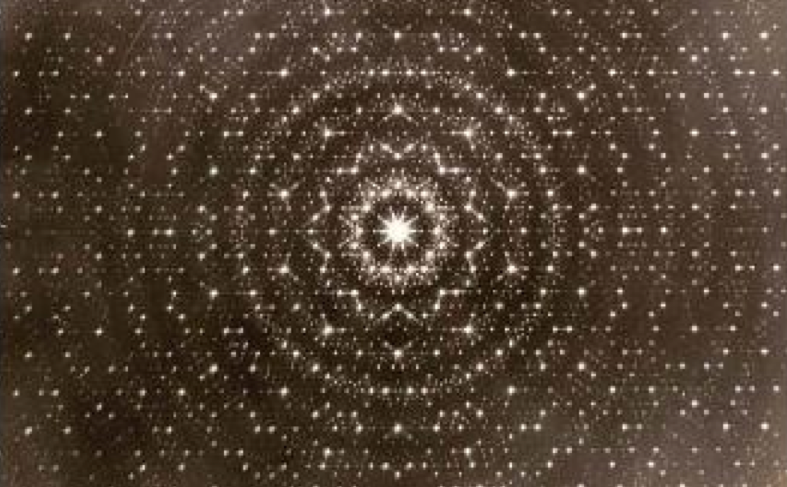 What spatial symmetries determine the pentagonal facets that are seen on real-world quasicrystals?" With regard to diffraction patterns, recent surveys by Peter Kramer (arXiv:1101.0061) and by Michael Baake and Uwe Grimm (arXiv:1105.0095v1) emphasize the pioneering work of Alan Mackay, whose 1982 article "Crystallography and the Penrose pattern" showed (experimentally) that Penrose tilings exhibit diffraction patterns having ten-fold symmetry; this stimulated an explosion of work that confirmed that such diffraction patterns are generic to quasicrystalline order. With regard to quasicrystal growth, an accessible entry-point into a large literature is Uwe Grimm's and Dieter Joseph's review "Modelling Quasicrystal Growth" (arXiv:cond-mat/9903074). 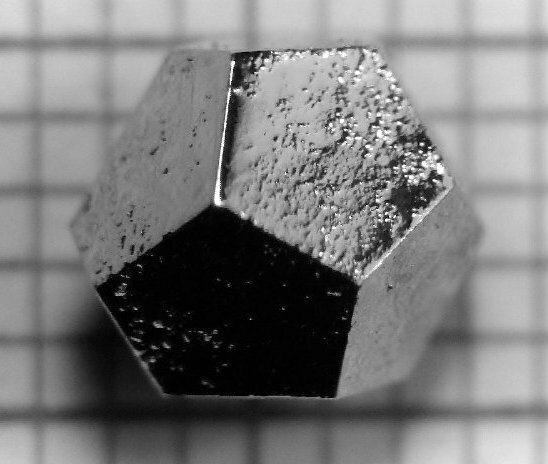 A widespread opinion nowadays (one hesitates to call it a 'consensus') is that local matching rules for adding atoms, augmented by remelting processes, permit the growth of quasicrystalline structures having low (but nonzero) defect densities, sufficient to explain the observed growth of macroscopic crystals that exhibit five-fold spatial and Fourier symmetries. Contrary to early speculation, it seems that nonlocal (quantum) effects are not required to explain quasicrystal growth on macroscopic scales. @Nestoklon, the answer is now amended to quote Benoit Mandelbrot's definition of fractals, in accord with which Penrose tilings are two-dimensional fractals. Still not convinced. Mandelbrot is a nice popularizer, but there is a formal approach: one may calculate dimensionality, probably some other useful properties. Based on self-similarity of the lattice obtain self-similarity of the spectrum, whatever. That's what I am looking for. I don't know even good explanation in what sense "each small part is very much like a reduced-size image of the whole" is applicable to quasicrystals. @Nestoklon, I have added some references (and a picture) that illustrate how self-similarity under rescaling in Penrose tilings generates spectral peaks in diffraction patterns. Thanks for asking a great question! Finally I asked the person working in this field and he gave me the paper http://prb.aps.org/abstract/PRB/v35/i3/p1020_1 where fractality of the spectrum is shown in rather reasonable model.